Fresh Morel mushrooms, wild foraged seasonally in North America and across Europe. With their distinctive shape and honeycombed caps, morels (Morchella esculenta) are one of the most recognizable of the wild edibles, and the most prized. Known as a chef’s mushroom, their opulent, early flavor lends itself to rich sauces. 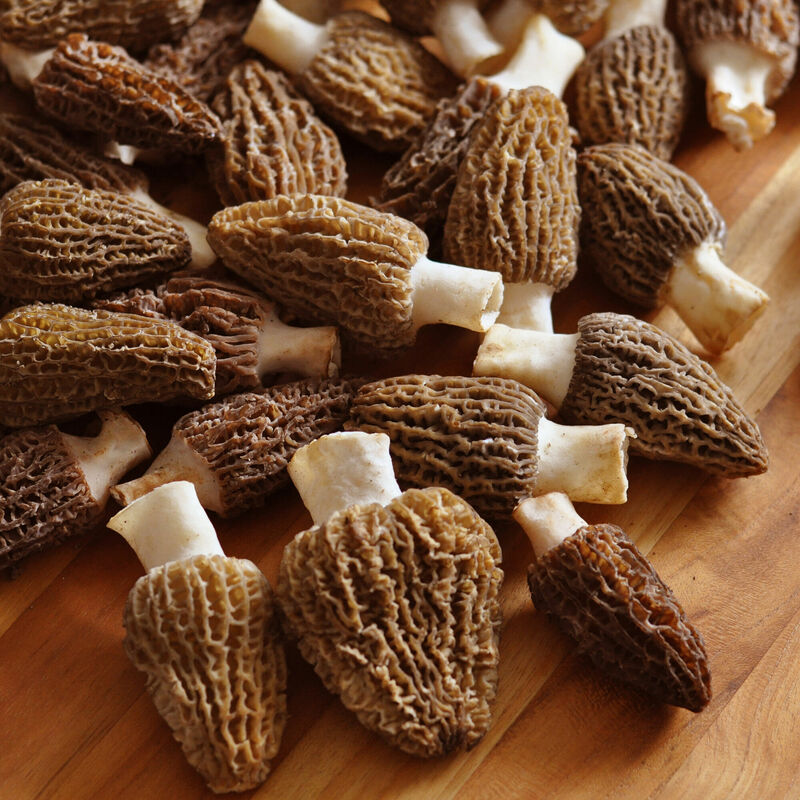 Both blonde and imported morels available seasonally.